"We're not special. Wake up." Not exactly the most inspiring pep talk from the man in charge of the next Final Fantasy game, but that's what Square Enix employees got when Hajime Tabata took over the Final Fantasy 15 team. In an interview on Japanese site 4Gamer (as translated by Kotaku), Tabata says there was backlash at the studio when he assumed his role as game director - backlash he attributes to "Final Fantasy disease." So what is Final Fantasy disease? "It refers to people within the company who can’t imagine anything other than their own view of Final Fantasy," Tabata says. "Since the root is a strong self-affirmation, one’s own view of Final Fantasy takes more priority than the team’s success." "If that view of Final Fantasy isn’t fulfilled, then they’re convinced that it’s bad for Final Fantasy," Tabata continues. "They think, 'Since Final Fantasy is a special team, then we are also special because we are making it. When the new Final Fantasy comes out, everybody is going to be so into it.' But that’s not the reality of the situation, is it?" In other words, people assumed that a new Final Fantasy needed to fit the mold of what the series had been, and those working on the game assumed that it would do well, just because it was a Final Fantasy game. Tabata obviously disagreed. 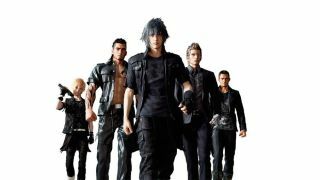 Interestingly, Tabata notes that once information about Final Fantasy 15 started going more public, he realized the infection was not limited to Square Enix. "Everyone has Final Fantasy disease," he says. I admit, Final Fantasy means something very specific to me, and I'm unsure how I feel about FF15 overall, partly due to the number of changes from that specific formula. I think I'm going to schedule an appointment with my primary physicians, Doctor Xbox One and Doctor PS4, for September 30. Just to be sure.